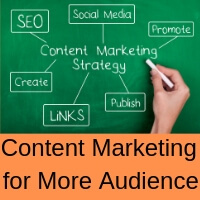 Steps to design content for audience success. Reach more people, gain brand awareness, build trust and build your business. Improve the engagement with your audience. Likes, Shares, Comments. Run more effective advertising content. Reduce advertising money being wasted. Improve sales conversion. Answer customer demands that are requested via search engines. Gain free traffic / business. Grow your audience, prospect list and customer list. What keeps your customer up at night? What is your favourite success story? What myths are in your industry? What is your best a-ha moment? What is your favourite “war story”? Top 5 customer mistakes. Link:Headline Generator for more Marketing Success Create 20+ Headlines quickly. Improve your marketing readership, audience engagement and customer sales conversions. Deliver an aha moment. Add a Call To Action for their next step towards purchase.